Smile, a Pan-African telecommunications group with operations in Nigeria, Uganda, Tanzania and the Democratic Republic of the Congo, has appointed the former Chief Executive Officer of MTN Nigeria, Mr. Ahmad Farroukh to its Board as Executive Director, Operations, effective, May 1 2017. Farroukh is an experienced telecoms executive with a distinguished record of commercial success, extensive experience working in Africa and an impressive ability to drive strategy and profitability in accordance with international standards. 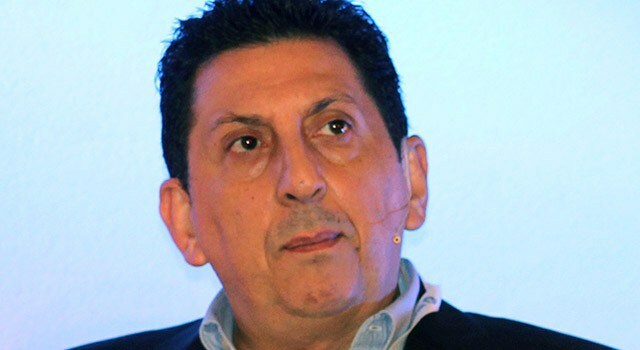 Until his recent appointment, Farroukh held executive management positions at Investcom Holdings and the MTN Group, including being CEO of MTN Nigeria for five years, CEO of MTN South Africa and MTN Group Chief Operating Executive, responsible for 19 countries. Most recently, he served as CEO of Mobily, Saudi Arabia’s second largest telecommunications operator. Given the extent of the opportunity and the significance to Smile, Ahmad will spend the majority of his executive time in Nigeria. “The Africa telecoms market is as dynamic as it is challenging, and Farroukh is perfectly suited to lead Smile’s next exciting phase of growth, as we have transitioned from a spectrum rich start-up to the most reliable data gigabyte factory in sub-Sahara Africa,” said Irene Charnley, Smile Group’s Chief Executive Officer. “Africa is experiencing explosive data growth, and I am honoured to have the opportunity to lead the operations of the continent’s best 4G LTE network at this exciting time. It has also been a revelation after over 20 years in the industry to witness the power and versatility of Smile’s proprietary technology applications and billing platform, which was developed in-house and provides a huge competitive and cost advantage,” Farroukh said. He holds a Master’s Degree in Business Administration and Accounting from the Lebanese American University and is a Certified Public Accountant in New York, USA. Founded in 2007, Smile Telecoms is a Mauritius-based Pan-African telecommunications group with operations in West, East and Southern African countries. The company is majority owned by Saudi-based, Al Nahla group. Smile has the largest sub-1 GHz 4G LTE commercial network in Africa, operating in the 800 MHz band, providing superFast and reliable broadband services to its customers.